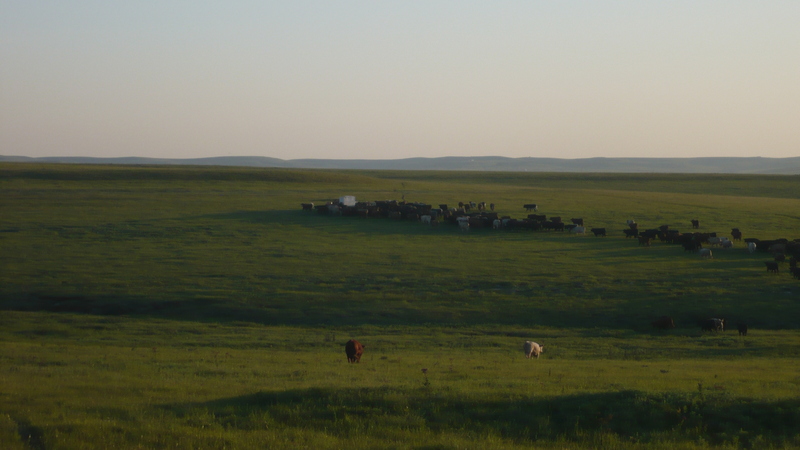 Our cattle are born and raised on the sweet grass of the Tall Grass Prairie in the Kansas Flint Hills. Our ranch is some of the last remaining unplowed acres of the Flint Hills region and sustains the best grass you will find anywhere on the earth. This is the land “where the buffalo roamed”. Unchanged and constant from the beginning of time. Our pure Angus cows and registered Angus Bulls are raised naturally and their offspring are produced without added growth hormones, antibiotics, or grain. They thrive on a diet of native prairie grasses of Big Bluestem, Indian grass, and high quality organicaly grown alfalfa and brome hay in the winter months. We raise our herd humanely and with respect. Our animals are never confined except for very brief periods for birthing assistance with first calf heifers. They spend their entire lives roaming freely on large pastures on our 3000 acre ranch. Since moving back to the ranch full time in 2007, we have made great efforts to improve the natural sustainability of the land. Land once farmed is gradually being returned to native grass and perrenial crops to reduce erosion and maintain soil fertility. Development of ponds and fencing off creeks and rivers has been a priority to reduce contamination from livestock. We are located near the headwaters of the East Branch of the Fall RIver which ultimately supplies water to some 2 million households. We are proud of the efforts we have undertaken to assure clean water and soil conservation here in Greenwood County Kansas. Working with the National Resources and Soil Conservation Service, we were designated as winners of the 2008 Greenwood County Wildlife Habitat Improvement Award by the Greenwood County Soil Conservation District. Working with the Kansas Forest Service and local neighbors and friends, we were able to plant 625 trees this spring to establish a riparian area between cropland and the Fall River to prevent erosion and improve cover for wildlife. Come by for a visit sometime. Order a Side of Beef or Split Side (Quarter) and SAVE! 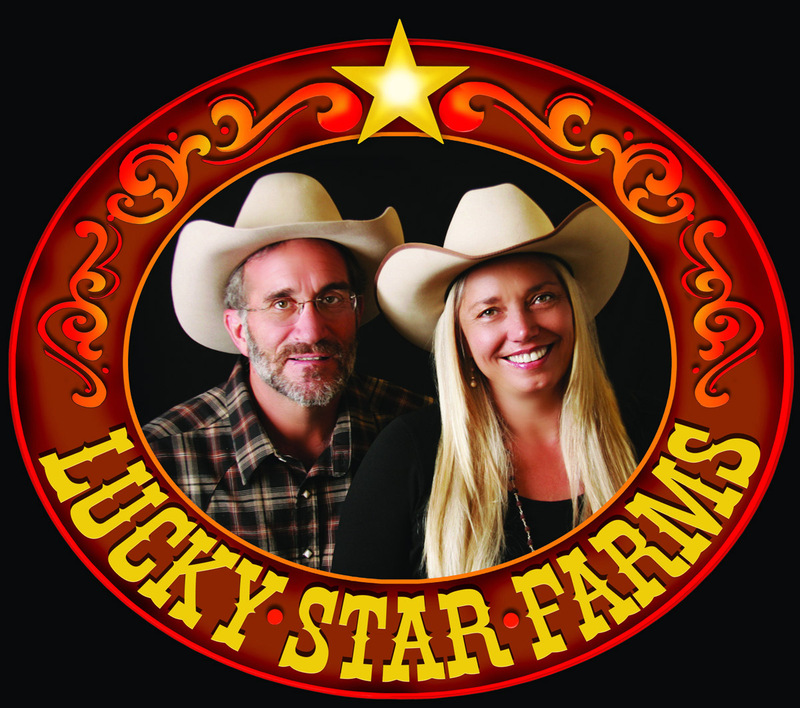 See “Buying Lucky Star Beef” for more information on buying by the side and click on “Beef cuts – or any way you slice it” for more on things like processing and cutting orders and how much freezer space. 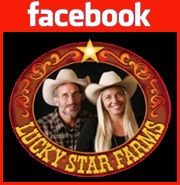 Or give us a call at the ranch with questions about this at 620-583-6776.